As many as one-in-ten households could be due a refund of around £125 from their energy supplier, according to a study from uSwitch, UKPower’s energy-switching partner. If you pay for your gas and electricity by Direct Debit, you could be paying in advance for energy you end up not using. Households often use less than they pay for, meaning they end up being in credit to their supplier without even realising it. What’s the problem paying by Direct Debit? Paying by Direct Debit is one of the simplest ways to pay for your household gas and electricity – a set amount is taken out each month to cover the cost of your energy bills, meaning you don’t have to worry about remembering to make your payments, and your energy supplier doesn’t have to worry about sending out reminders. That’s why around 50% of customers pay their energy bills in this way, and why suppliers often offer discounts to any customers who are prepared to set up automatic payments. The trouble is, although your energy payments remain the same each month, your energy usage definitely doesn’t, which means you could be underpaying during some parts of the year, and overpaying during others. If your bills are based upon regular meter readings or data from a smart meter, your bills should be accurate and you’ll most likely be paying more or less the right amount each month. But if your bills are calculated using an estimate based upon the size of house you live in, and the number of people who share it with you, your monthly payments might not balance out over the course of the year. This could mean you owe your energy supplier money, but it seems more likely they could actually owe you a refund. Are you owed a refund from your energy supplier? Energy companies owe a total of £1.3 billion to 11 million customers, according to the figures of a uSwitch study into the total surplus credit build up after the 2017-18 winter season. The figures are based on the accounts of 2,000 energy customers, 8% of which were in credit of more than £200. The average figure owed is £121 per household. So, if you pay by Direct Debit, there’s a good chance you could be in line for a refund, but you might have to jump through some hoops to get it – just three of the Big Six (British Gas, Scottish Power and Npower) offer automatic refunds, while the rest require consumers to call, go online, or fill out a form to get their money back. The study also found that over half (54%) of those surveyed said they had to chase their supplier for a refund. If you’re owed money from a previous supplier, check any old energy bills and bank statements to work out exactly how much you’re owed and get in touch with them – although energy companies are meant to refund any in-credit balance when you switch to another provider, not all of them always do. And you can claim a refund from your current supplier, even if you’re not switching, but always do your sums first, as it might make sense to keep the money in your account to cover higher payments during the winter months. For more information on getting your money back, check out How to get a refund from your energy company. 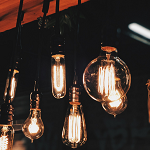 Ideally though, you only want to pay for the energy you use, and the best way to avoid being overcharged is to provide your supplier with regular meter readings. Once your supplier has these readings, it can review it against the estimated amount you pay each moth and see if you are owed money or adjust your bill for the next month. If you’re unsure how to take and provide readings, take a look at How to read your gas and electricity meters. And if you’re worried you might be in debt with your supplier, here’s How to deal with energy debt.